Mockingbirds are the true artists of the bird kingdom. Which is to say, although they’re born with a song of their own, an innate riff that happens to be one of the most versatile of all ornithological expressions, mockingbirds aren’t content to merely play the hand that is dealt them. Like all artists, they are out to rearrange reality. Innovative, willful, daring, not bound by the rules to which others may blindly adhere, the mockingbird collects snatches of birdsong from this tree and that field, appropriates them, places them in new and unexpected contexts, recreates the world from the world. For example, a mockingbird in South Carolina was heard to blend the songs of thirty-two different kinds of birds into a ten-minute performance, a virtuoso display that served no practical purpose, falling, therefore, into the realm of pure art. 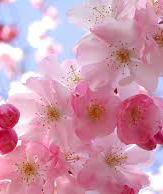 Oh the song of Spring! A time of new beginnings. Of seedlings turning into blooms, of sunshiny days and cool scented nights. A time of inspiration found in all things. We feel all this as we start our Spring semester- inspired by Mother Nature and the sense of tomorrow's surprises. 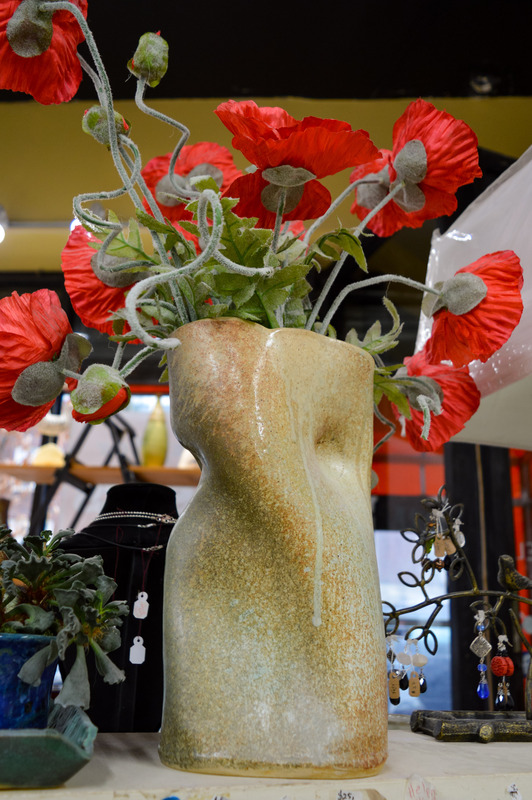 10% Off EVERYTHING in the gallery through Mother's Day, May 13th!!! 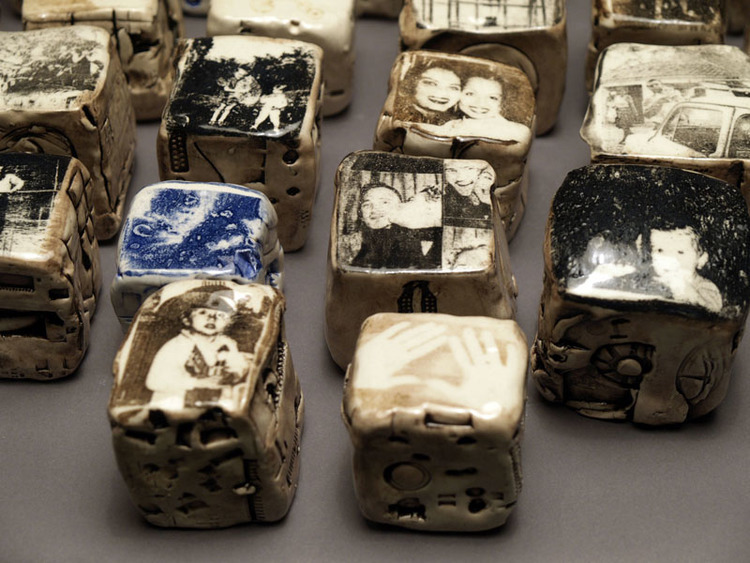 Come make this one-of-a-kind keepsake for that special Mom in your life! Children of all ages will love this project using alphabet macaroni and decorative stamp impressions to create a personalized message on a clay heart-inspired slab of clay. 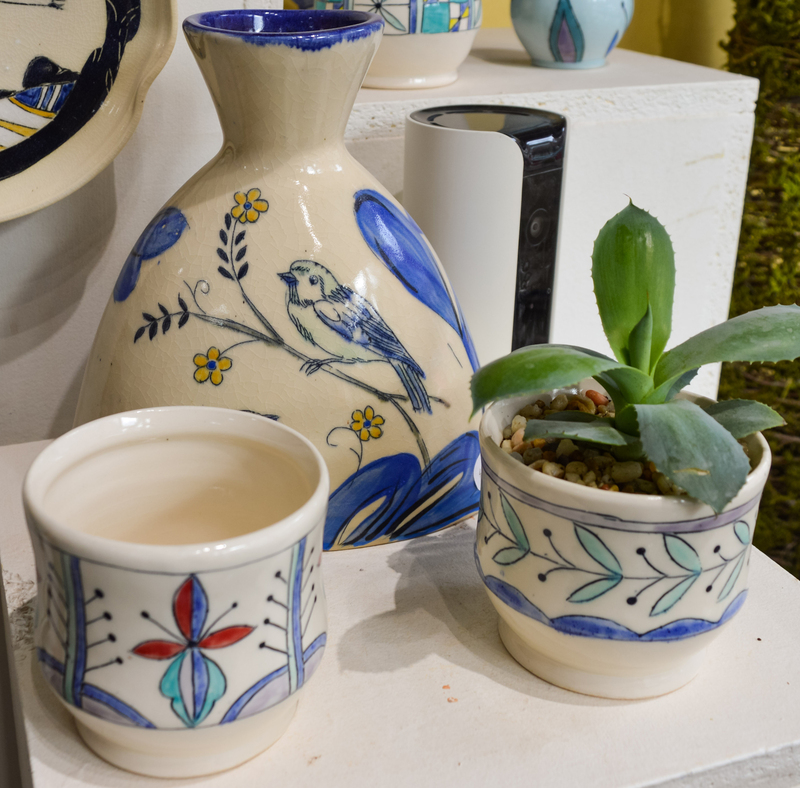 We will apply the color and glaze your creations and we will finish it up in our kilns so it can be presented with all the love you put into your beautiful hanging tile in time to present it for Mother's Day. We’ll supply the all the materials you'll need for your unique creation, one that will be cherished forever. 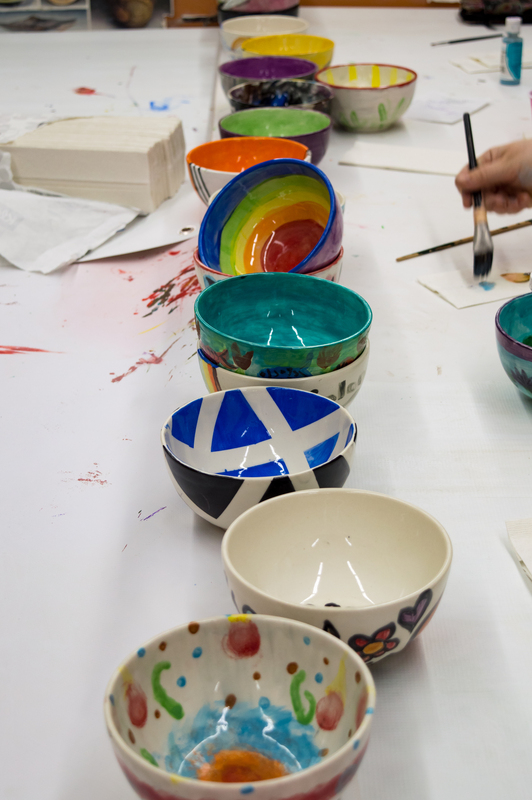 Create lasting family memories with your child by crafting functional and decorative ceramics. Working with clay not only builds language skills, but also helps children develop hand/eye co-ordination, develop the small muscles in their fingers and hands and hone their fine motor skills. 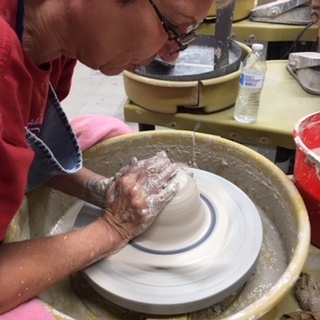 All as you’ll both pound, pat, pinch and push the clay, adding detail and form as you work to build your creative shapes and objects. Marc’s creativity was likely born in his father and grandfather’s factory in Brooklyn where Marc spent a good deal of time as a child. This “maker” environment was ripe with inspiration—tools, gadgets, and stacks of copies of Architectural Record Magazine. 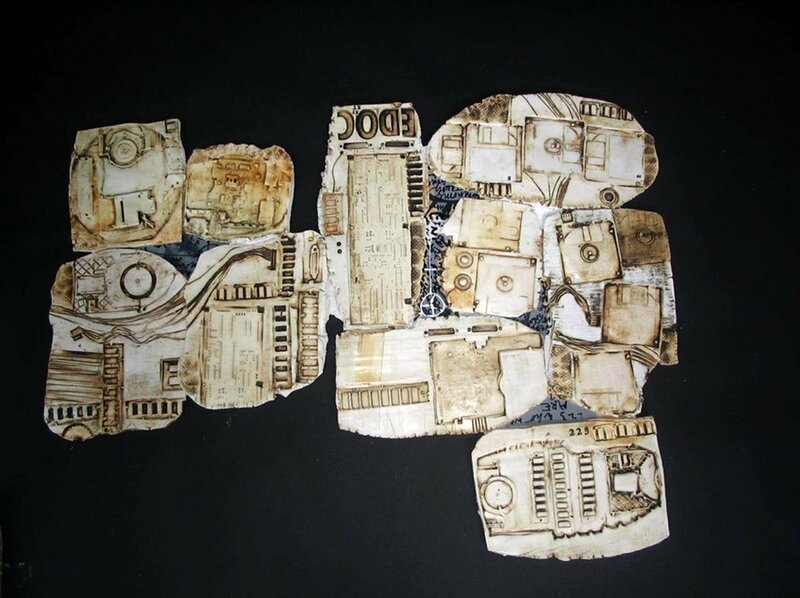 Eventually studying Architecture at New York Institute of Technology, Marc fed his passion for creative expression studying art, ancient artifacts, and buildings. More than just an observer, Marc became an artist and painter himself. Marc’s pieces reflect his love of nature, both land and sea. 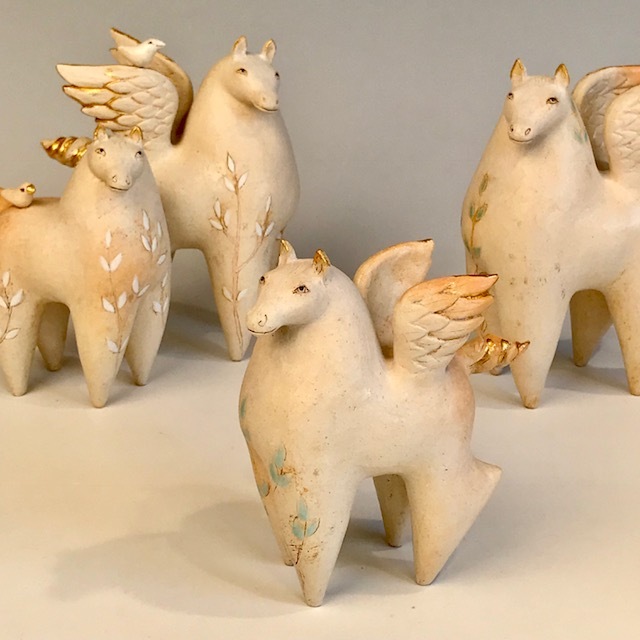 In addition to the inspiration of antiquities (Asian, European, and the Americas) and midcentury designs, he draws on the memories of the beautiful pieces in his parent’s home, expressing a sentimentality in clay but reinventing it with a new twist. The story of the beginning of Marc's clay journey is a simple one. Almost 24 years ago, while on summer vacation in Fire Island Pines, a friend of Marc’s brought out a bag of clay. After that weekend, molding, shaping and playing with the clay, Marc was hooked. 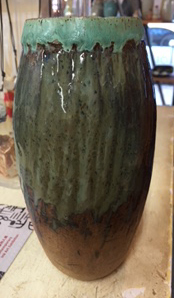 Wasting no time, that fall he enrolled in a pottery class at the Potter's Wheel, and one class led to the next. And the next. 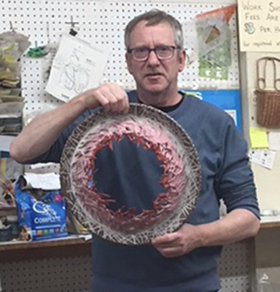 He built his skills and technique, starting first with hand building, then moving to using the wheel, and eventually building a pottery studio in his home. 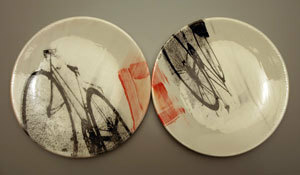 Marc loves to spend his Friday evenings with at the Potter's Wheel. Come on by, say hello and take a look at his wonderful work. This year (our 6th!) we raised over $3,800 for our friends at the River Fund, almost making this our record year! In total, over the years, we as a community have raised and donated a total of over $19,000 to help our neighbors in need. 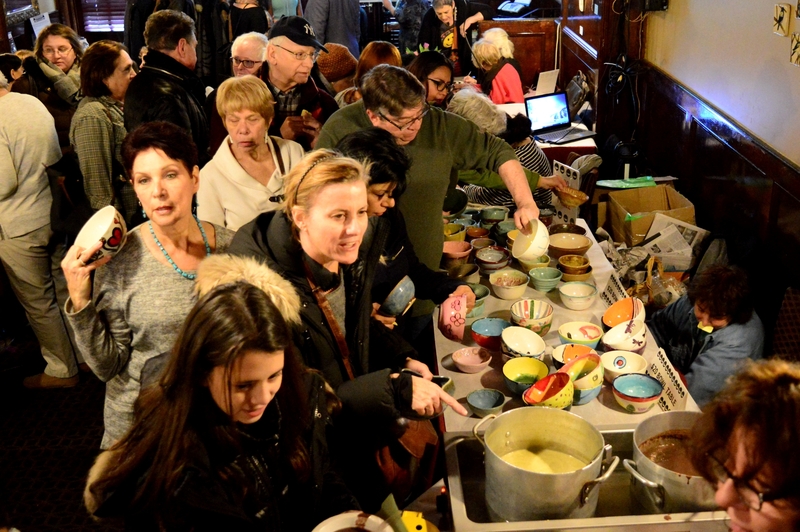 You can still give a donation to this needed and wonderful organization by clicking here (https://www.river.fund/donation-page-kew-gardens-empty-bowls-project-2017) or you can come by the Potter’s Wheel (120-33 83rd Ave) where you can still choose a bowl for your generous donation of $20 while supplies last. The River Fund and the Potters Wheel would like to thank all the potters that created and contributed the wonderful bowls we all loved choosing from, the greater Kew Gardens Community that both came to hand paint bowls for donation and also those who gave generously from their heart to this worthy cause, all the donors of our raffle table prizes- it was really hard to choose which ones to try for this year- they were all such wonderful prizes, and last but definitely not least- Austin Ale House for their support and their generosity, their space and their soup!!! 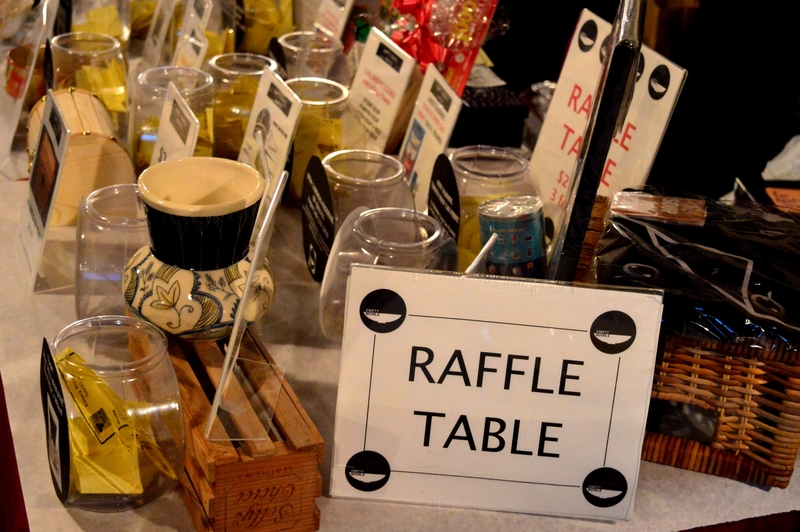 Thank you all who made this another successful fundraising year! 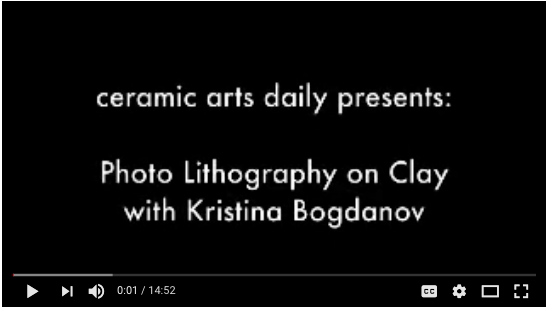 A couple of weeks ago, I had the pleasure of watching Kristina Bogdanov demonstrate a really cool way to transfer photographic images onto clay surfaces. And, don’t worry! We captured the whole thing on video to share with you, my faithful readers! 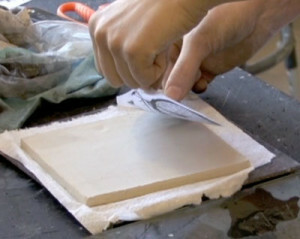 Though the name sounds a bit intimidating, photo lithography image transfer onto clay, is not a terribly difficult process. You just need to get a couple of tools that you might not have on hand, but once you do that, it’s a piece of cake. In today’s video, Kristina shows us how. – Jennifer Poellot Harnetty, editor. 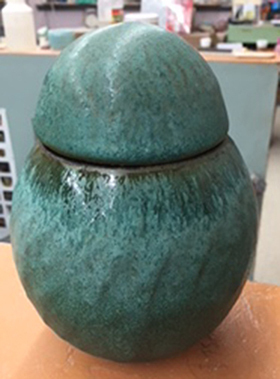 Some oxides can also work, although Mason Stains are the most reliable for strong color.